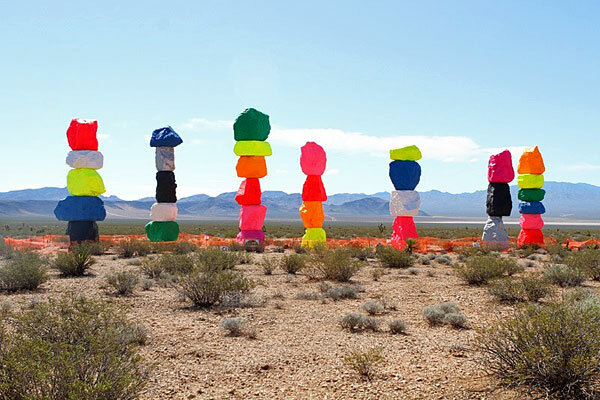 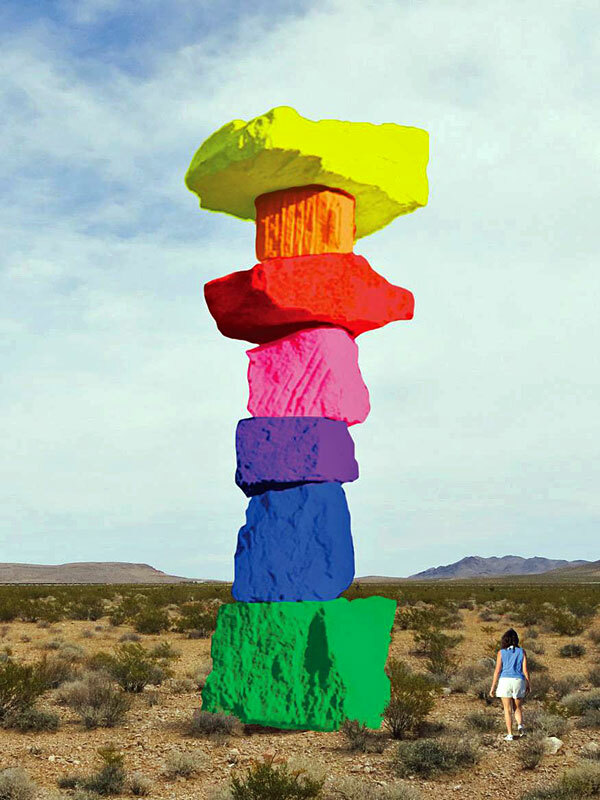 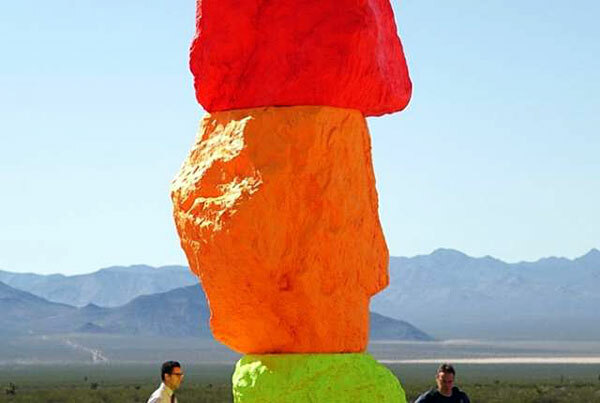 In the desert south of Las Vegas, Nevada, rises Seven Magic Mountains, colossal stone formations by Swiss artist Ugo Rondinone. 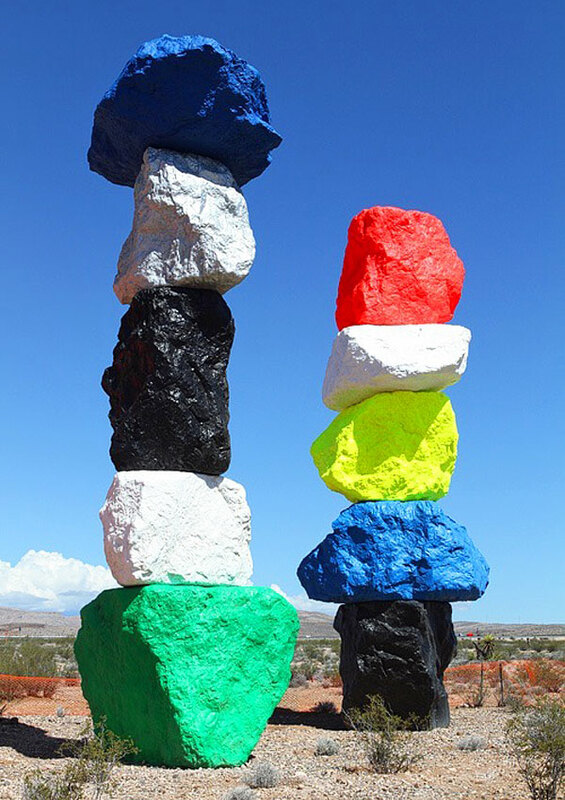 The monumental work of Land Art — located near Jean Dry Lake, where Jean Tinquely and Michael Heizer created large-scale works — strikes a primal chord like some technicolor Stonehenge. 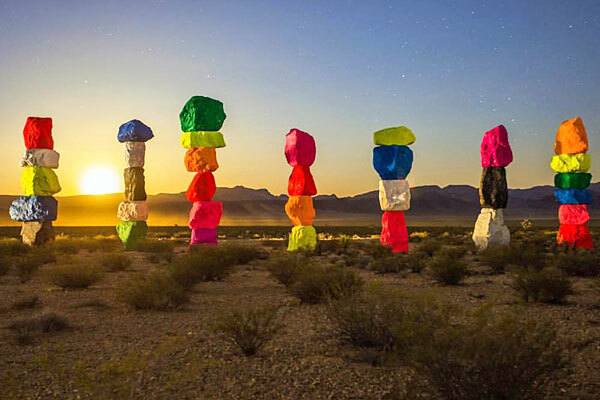 Nearly five years in the making, Seven Magic Mountains is situated at the southern end of Las Vegas Boulevard, half an hour from the strip, and consists of locally sourced limestone boulders stacked vertically. 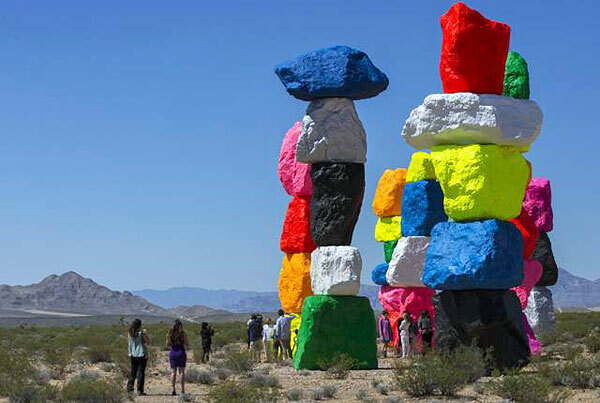 Each boulder radiates a unique fluorescent shade, hinting at indigenous totem poles while offering a critique of the crass neon novelty of the nearby city.